WASHINGTON, DC—Historic Hotels of America, the official program of the National Trust for Historic Preservation for recognizing historic hotels, is presenting the 2016 Historic Hotels of America Lifetime Achievement Award to Takamasa Osano and Kyo-ya Hotels & Resorts, LP. This national award is to honor their more than 50 years of stewardship, commitment and leadership shown through the restorations and preservation of the Moana Surfrider, a Westin Resort (1901); The Royal Hawaiian, a Luxury Collection Resort (1927); Palace Hotel, a Luxury Collection Hotel (1875) and the Sheraton Maui Resort & Spa (1963). This Lifetime Achievement Award will be presented at the 2016 Historic Hotels Annual Awards of Excellence Ceremony & Gala on Nov. 3, at The Royal Hawaiian, a Luxury Collection Resort (1927) Honolulu, Hawaii. 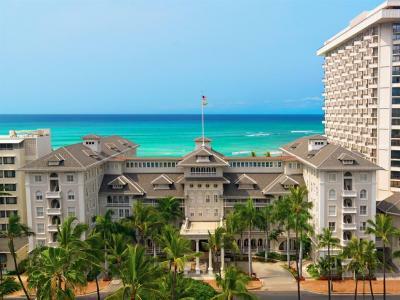 Osano and Kyo-ya Hotels and Resorts, LP are committed to the stewardship of these iconic landmarks, evident in their complete restoration of the Moana Surfrider in 1988, and major renovations of The Royal Hawaiian in 2009 and 2015, according to the organization. The Sheraton Maui Resort maintained the heritage of the land it sits upon during its major redevelopment in 1996. In 2015, The Palace Hotel in San Francisco completed an extensive renovation including a restoration of the landmark Garden Court. As a result, Kyo-ya Hotels & Resorts, LP has invested more than half a billion dollars including more than $300 million in extensive renovations and restorations to their Waikiki hotels and more than $200 million on Maui and in San Francisco. Kyo-ya Hotels & Resorts, LP is committed to protecting the environment through sustainable business practices, proactive community initiatives and investments in cutting-edge technology, according to the organization.